We would like to be your dentist for life! 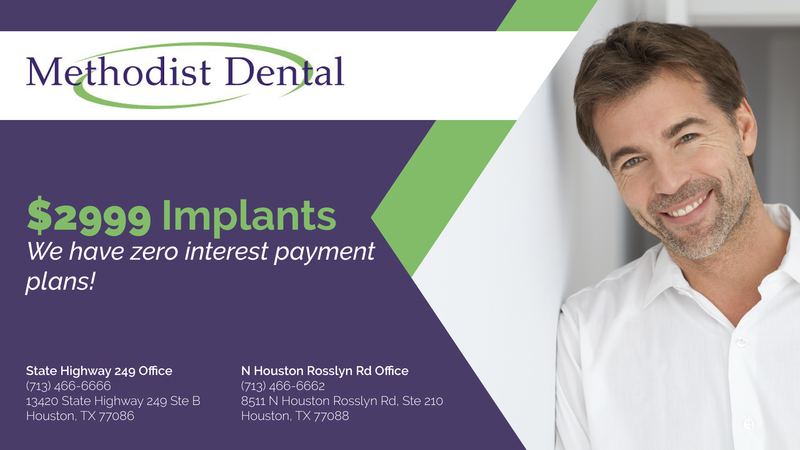 If you are looking for personalized dental care, contact Methodist Dental today at (713) 466-6666. We work hard to make your visit a comfortable one. Orthodontics is a dental specialty that involves correcting teeth that are improperly positioned. Methodist Dental is proud to offer our clients the best and most up-to-date orthodontic services. Did you know orthodontics can not only help your smile, prevent cavities, and improve your ability to bite and chew, but in some cases it has improved people's ability to speak clearly. Our orthodontists treat malocclusions, which are often called bad bites. This is when you bite down and your teeth do not line up correctly. We also treat crooked teeth. Orthodontists also focus on the development of the facial bones and jaw. Great service! Friendly staff always so professional & attentive. They do excellent work & make me feel comfortable. Amazing Place definitely recommend! Would for sure recommend this place to friends and family. Staff was friendly and knowledgeable the dentist was also very friendly and very knowledgeable of her field. Going to have some dental work and thanks to Methodist Dental the transition will be smooth as pie. I've been here several times & I just got my braces done. Great experiences, awesome staff. Definitely recommend! Loved the help you guys are always responsible because you always call us in time. Also you guys are very kind this is why we choose this dentist office than any other!! I went to this office for the first time, I was glad I did because they went above and beyond to make me feel comfortable! Good work guys!!! Doctors . They explain every procedure before doing them . I was all smile when I left . Excellent staff and dentist! I will be switching to this office. This is my second time here and I'm very happy with the service so far, I feel like the staff is very professional and nice. I will be recommending them to my friends for dental work. 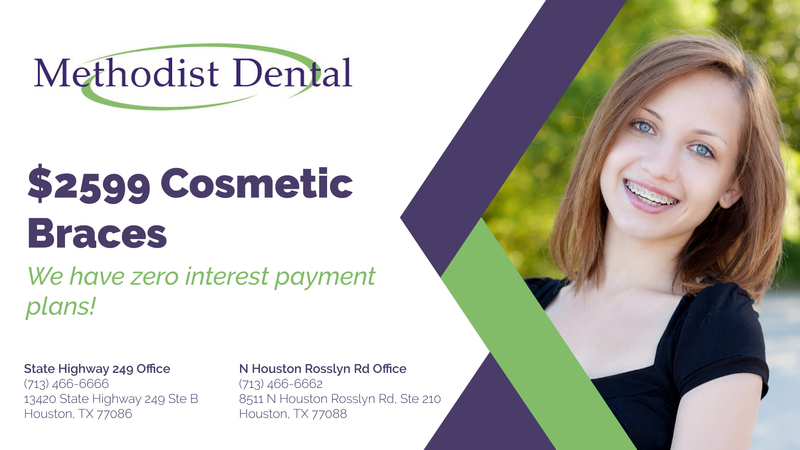 Our goal with cosmetic dentistry is to give you a smile of which you can be proud of. All people, no matter what their background or profession, want a beautiful smile they can show off. We offer both minor and major changes to help you feel better about your teeth. We offer procedures to help improve the way your teeth look, whether they are discolored, chipped, irregular, or something else. To ensure you are proud of your smile again, we offer a wide array of dental procedures.